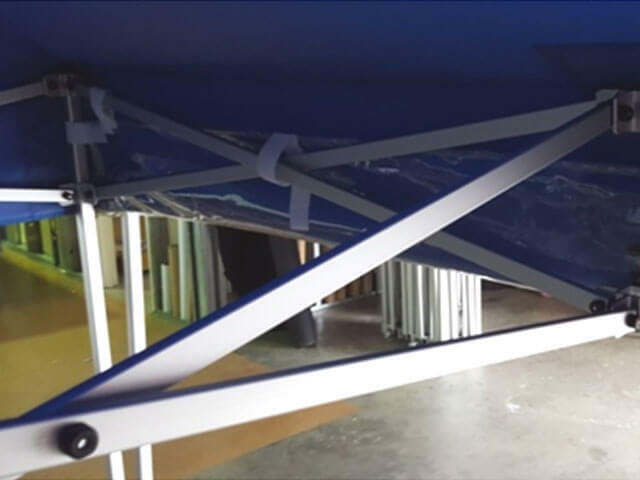 Gutter Strips are available for joining 2 QuikShades together with a similar length side, eg 3m x 3m joined to 6m x 3m. The gutter is designed to fit between 2 QuikShades of a similar side length, i.e. 3m – you can use the gutter to join a 3mx3m QuikShade to a 4.5mx3m QuikShade. 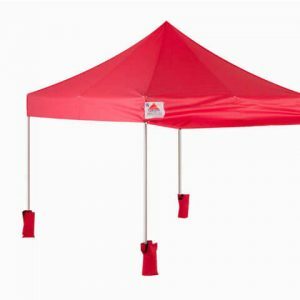 However, it cannot be used to join a 3m QuikShade to a 3.6mx3.6m! 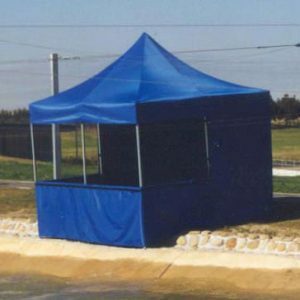 It is not designed to join a QuikShade to any other type of frame supplied by a different manufacturer. 1: At either end of the gutter strip, you will notice that there are Velcro straps, one of these loops over the roof strut and the other is wrapped around the corner post. 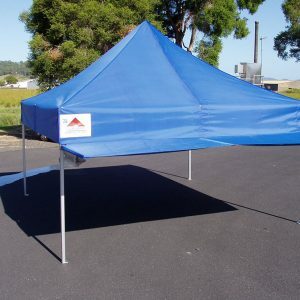 The gutter strip is inserted between the fabric of the skirt and the roof struts. 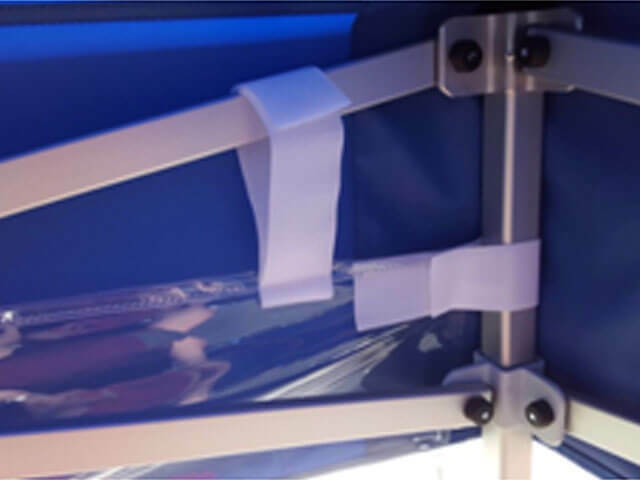 2: The top of the gutter strip has a number of Velcro straps which are in turn attached to the roof struts. 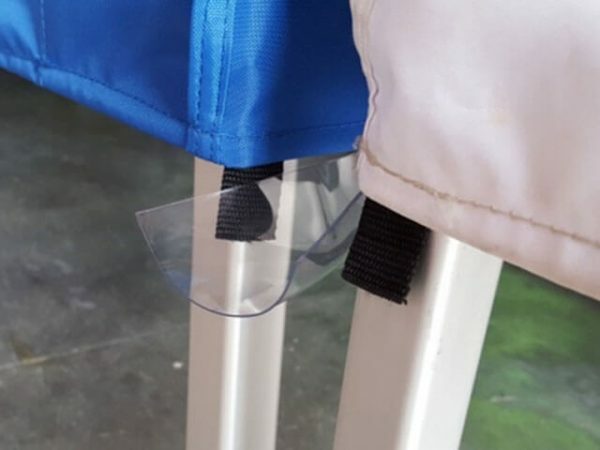 When these have been attached the process should be repeated on the second QuikShade – remember to keep the 2 QuikShades close together. The purpose of the gutter strip is simply to divert any rain that should run between the 2 roofs away from the inside of the covered area. 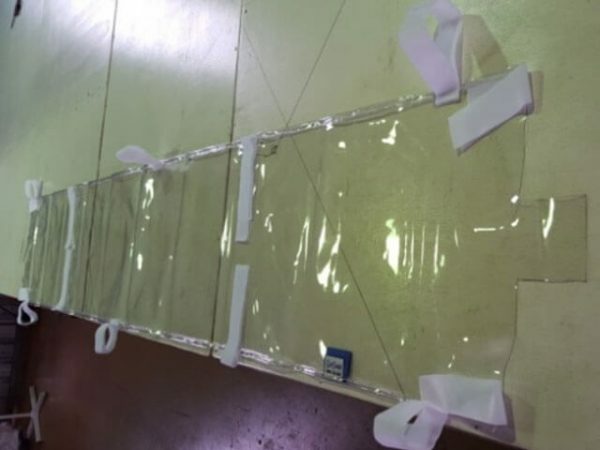 3: The ends of the gutter strip should protrude from just under the level of the skirts, this will act like a small spout and allow the water to dispense.